The Musselshell County Sheriff’s Office is the primary law enforcement office for Musselshell County. 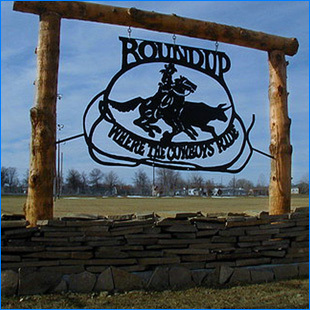 The City of Roundup and Melstone contracts with the Musselshell County Sheriff’s Office for law enforcement services within their city limits. The Sheriff is the chief law enforcement officer in the county and is responsible for enforcing state and county laws, including city ordinances. The Musselshell County Sheriff is also the county coroner and has four deputy coroners who work in his office and investigate all unattended deaths or deaths that could be criminally caused. The Sheriff’s Office is responsible for tracking and recording sexual and violent offenders, serving civil process, issuing concealed weapons permits, record keeping, investigating criminal acts, maintaining the detention center, and patrolling the 1,900 square miles of Musselshell County. The Sheriff’s Office is currently staffed by the Sheriff, Undersheriff, Sergeant, four deputies, an administrative assistant, and one detention officer. Tuesday: 9:00 a.m. -11:00 a.m.
Thursday: 3:00 p.m. – 5:00 p.m.
Sunday: 1:30 p.m. – 2:30 p.m.